It's been over 80 years since the first ever televised sporting event, and there are now thousands of live games being fed through an ever-growing number of channels, consumed by a huge global audience. Every country has its own cluster of networks that provide on-the-spot coverage of the week’s biggest events. From global giants like the World Cup and the Olympics to emerging forms like mixed martial arts, our TVs continue to act as the gateway to hours of entertainment. It’s not just sports that pull in the big crowds, either. Broadcasters have expanded on their coverage of non-sporting events by venturing into fields like music, film, and politics while ensuring they can be enjoyed on a range of different platforms. Indeed, while linear TV often represents the start of a live event’s journey, the use of mobile devices and social networks has been a game-changer in terms of their viewership and monetization. The latest figures show that online video attracted over 2 billion viewers in 2017 - accounting for 62% of the world’s internet users - and it’s been fascinating to see how content owners have responded to what many believe could be the future of live broadcasting. Through the connected world, these professionals have been handed the opportunity to explore new distribution channels, boost their audiences and generate even more revenue from their existing assets. As we explore the potential of online video for the monetization of live events, let’s take a look at some of the approaches that broadcasters are currently adopting. A good place to start with video monetization is advertising. For broadcasters that already produce hours of live content, the practice of re purposing footage allows them to expand on their reach while satisfying sponsorship agreements via online ads. Pre-roll: Embedded within a clip and often coming in at around 5-15 seconds, pre-roll ads are positioned before the video can start and will often require the user to view them before their content can begin. Thus, they are highly effective at promoting sponsors and any advertiser that wants to elevate their brand. Mid-roll: Situated in the middle of a clip, mid-roll ads are similar to pre-roll in that they often require the user to view them before the clip can resume. Post-roll: Post-roll ads are positioned after the clip, sometimes with a call to action, and will target audiences that are highly interested in what they’re viewing. Dynamic overlays: With dynamic overlays, graphics are positioned on top of a clip that is already running. This creates something of a piggyback effect between the brand and the content. Serving online ads used to be complicated, but modern video editing technology allows any content owner to create galleries of graphical assets in order to generate templates in advance. It’s then up to them to hit “apply” and feed their branded clip to the masses. Given the lifespan of live content and pressure of capturing an audience “in the moment”, it’s no wonder this increased speed of delivery has been well-received. The social networks themselves are making it even easier for broadcasters to monetize their content through services that enable the pairing of high-quality clips with ad dollars. Two of the leading social media video marketing tools are YouTube and its Partner Program and Facebook’s Branded Content service, both of which enable content publishers to earn revenue from their video assets. Twitter Amplify has proven popular in the same regard and especially due to its recent prioritization with live streams, which now receive favorable treatment on the news feed. Adding to their plaudits is the revelation that social video generates 1200% more shares than regular text and image posts combined. As an added tip, broadcasters should be aware that two minutes is representing something of a sweet spot in terms content length. Another way of effectively distributing video content is via an official app - a tactic deployed by pay-TV providers who don’t have the rights to seed it through social media. 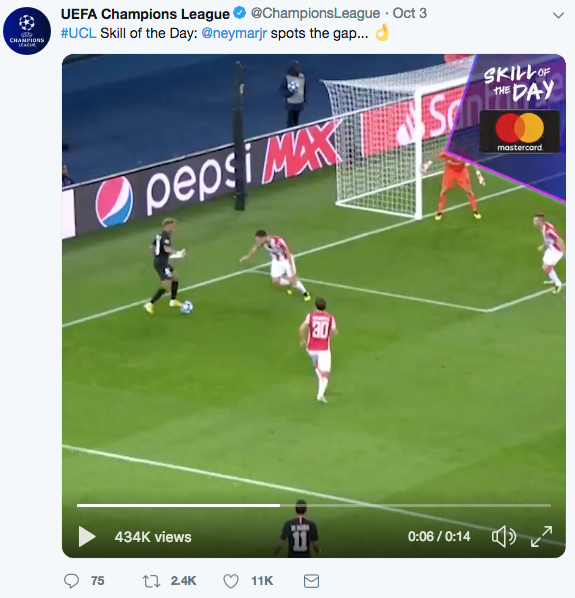 For example, beIN SPORTS has created a hub for French soccer that delivers instant highlights, end-of-day summaries and other footage to paid users of the service. A creative approach to monetization is evident here, with bein using its existing rights to enhance its audience and generate new streams of revenue. Despite offering a golden goose to content providers, the monetization of live video doesn’t come without its challenges. One of the more common issues is around a lack of traffic and viewership. This can represent something of a barrier in the early stages, especially for those with assets that lack any kind of global appeal. Ad blockers have been another thorn in the side of people that want to monetize their content. Although generally affecting other areas of the digital ad landscape - namely conventional display advertising and low-quality formats - these free tools can harm the revenue of someone looking to place ads on a site that contains video content in some form. Finally, we have a challenge that has been with live video from the start: its lifespan. The online world is broadening the audience of live events by enabling them to be shared beyond the realms of a single TV screen. That said, new events happen every single day, and while memorable moments can stay with someone forever, the best and biggest audience is likely to come straight after it occured. Thankfully, there are countermeasures that enable content providers to scale each of these obstacles. By putting time and effort into building a presence on social media, any live content owner can produce a whole new channel for distributing their videos. Some have taken things further by promoting clips in order to get them in front of very specific people (often the exact audiences their advertisers want to target). One way around the ad blockers is to bake ads into the content itself - much like with pre-roll and dynamic overlays - in order to successfully evade their scanners. Alternatively, there’s the option of monetizing the format through a subscription service. Tackling the lifespan of live events is a little trickier, but that’s not to say there aren’t solutions that can ensure every content owner captures their audience at the right time, every time. Mastering the art of live video monetization is not easy, although it can be accomplished with the right tools. Content providers should be looking for genuine end-to-end technologies which can optimize their editorial workflow and handle a range of different tasks. A market-leading solution can be found here at Wildmoka. Our comprehensive video clipping and digital content distribution platform facilitates the assembling and publishing of footage from live streams, enabling any content provider to explore new audiences and revenue opportunities. Instantly clip live footage for repurposing on multiple platforms. Instantly create and apply templates for positioning dynamic overlays, pre-roll and post-roll ads within content. Publish and monetize video assets through social media via integration with all the top services (YouTube Partner Program, Facebook Branded Content, Twitter Amplify). Assist in the populating of content hubs that attract subscribers and new streams of revenue. An added benefit of Wildmoka comes from its use of automation for clipping and delivering highlights at speed. Given the short lifespan of live events, the time saved by using such a feature will always help with capturing an audience at the moment. New monetization opportunities and audiences are right in front of any producer of live video content. The key to success is in finding the right approach, and the right technology, to lead the way.